and like showers upon the herb. and your gentleness made me great. but perverseness in it breaks the spirit. Brothers, if anyone is caught in any transgression, you who are spiritual should restore him in a spirit of gentleness. Keep watch on yourself, lest you too be tempted. 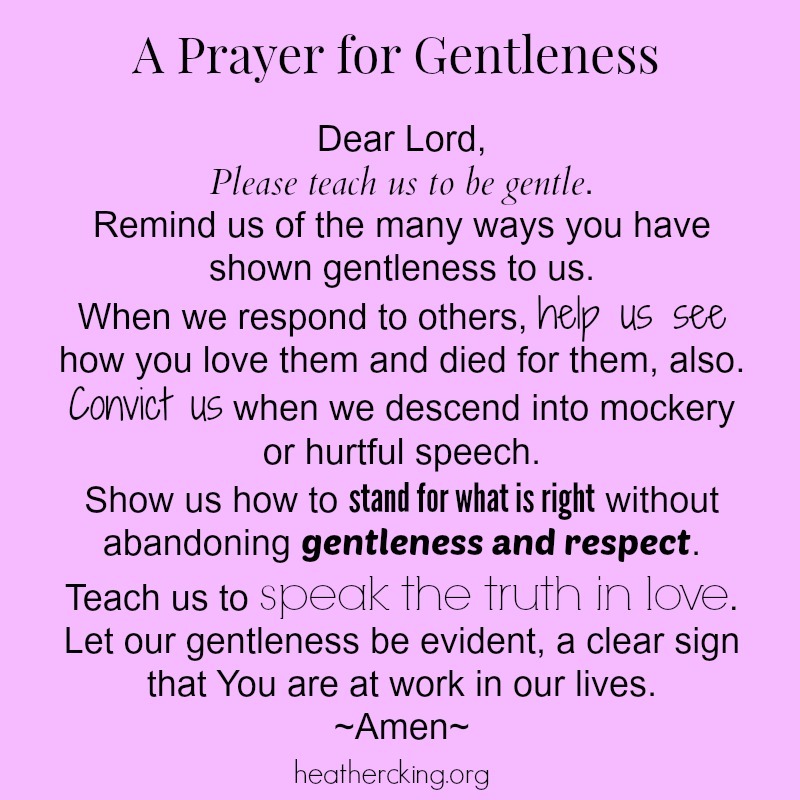 Let your gentleness be evident to all. The Lord is near. But as for you, O man of God, flee these things. Pursue righteousness, godliness, faith, love, steadfastness, gentleness. to slander no one, to be peaceable and considerate, and always to be gentle toward everyone. For every high priest chosen from among men is appointed to act on behalf of men in relation to God, to offer gifts and sacrifices for sins. 2 He can deal gently with the ignorant and wayward, since he himself is beset with weakness. But the wisdom from above is first pure, then peaceable, gentle, open to reason, full of mercy and good fruits, impartial and sincere. Do not let your adorning be external—the braiding of hair and the putting on of gold jewelry, or the clothing you wear— 4 but let your adorning be the hidden person of the heart with the imperishable beauty of a gentle and quiet spirit, which in God’s sight is very precious.